Now don’t get me wrong, I enjoy every pedal I build, but then there are some that I really get excited about building. 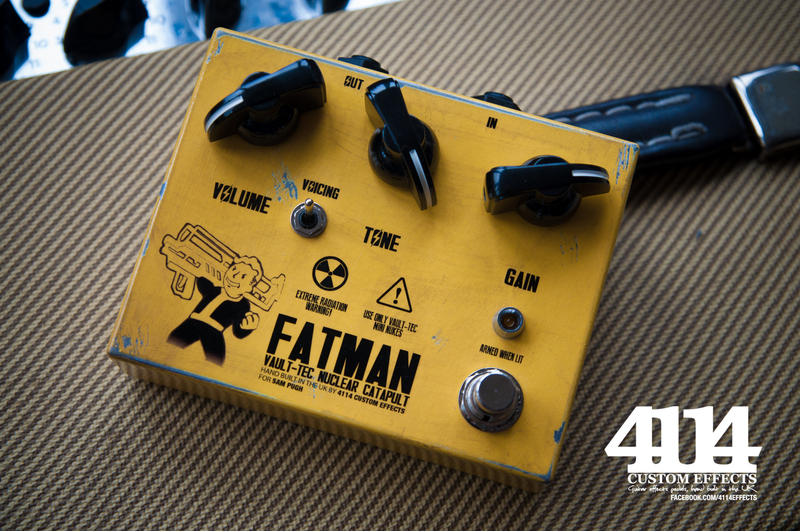 Like this one, for example; the Fatman overdrive. It’s a great sounding Fulltone OCD overdrive circuit inside, but my favourite part is the retro styling. if you’re a computer game geek like me you’ll probably get the Fallout reference. 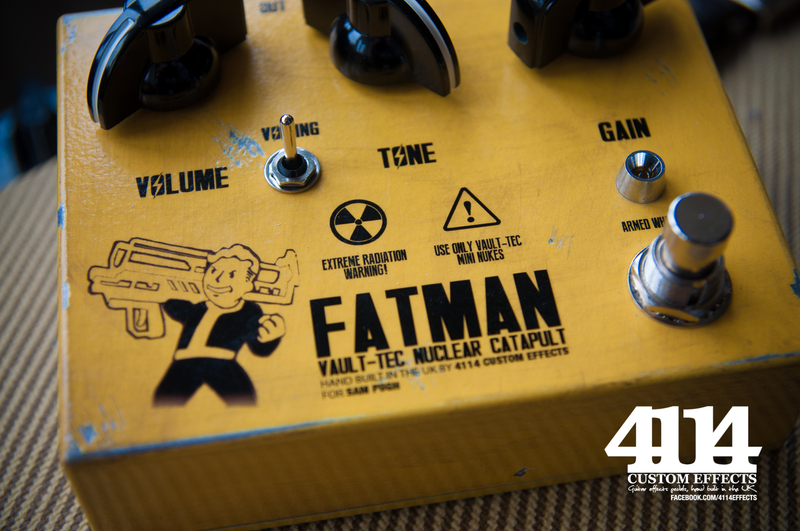 The customer asked for the pedal to look like it could have come straight from the game – I’ve used big retro chicken-head knobs and the enclosure has been deliberately aged and distressed to look like it’s spent the last 60 years in vault 101. If you’re a guitarist and a gamer, give me a shout – I’ll theme your pedal to anything you like! Check out http://www.facebook.com/4114effects for more unique builds.